Join Heartland Technical Academy for Registration/Orientation Night on April 11, 2019!! Students who have completed Enrollment Request Forms for 2019-2020 with their high school counselors, our invited to attend this event. Parents and students will meet at the HTA Office (Andreas Agriculture Wing on east side of RCC campus) to complete registration paperwork. You will then have the opportunity to visit our classrooms and meet our faculty. Events run from 5:00 - 6:00 p.m. With the increase in demand for HTA programs at this time, attending this event may have an impact on placement in the program of your choice. 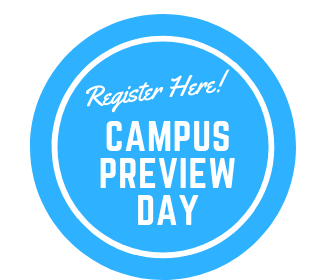 Richland Community College is also hosting a Campus Preview Night on April 11, 2019. We encourage parents and students to stick around for the opportunity to tour the RCC campus, talk with students, and discover RCC programs. Campus Preview Night begins at 6:00 p.m. in the Schilling Auditorium. Heartland Technical Academy's enrollment for the 2019-2020 school year is currently open!! Enrollment Forms are accepted from high school students who will be at a Junior or Senior standing upon the start of the 2019-2020 school year. Students who are interested in attending an HTA Program are encouraged to meet with their high school counselor. Counselors have been provided the 2019-2020 HTA Enrollment Forms & will be able to provide students with information regarding enrollment procedures and prerequisities for all of Tech's programs. 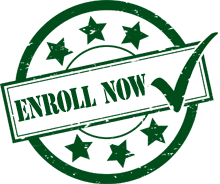 A copy of the 2019-2020 HTA Enrollment Form is located at the link below. Welcome to the Heartland Technical Academy! The Tech Academy provides career exploration and training to approximately 400 high school juniors and seniors in 15 program areas. We serve students from 15 high schools representing Decatur and the surrounding areas. Students who experience the Tech Academy have an opportunity to learn specific technical skills as well as proper employment behaviors and positive work ethic characteristics. Students at the Tech Academy have access to a technology-enriched curriculum, taught by a highly competent staff, using state of the art equipment. Nearly all of our programs offer college credit through Richland Community College. Create challenging, dynamic programs of study that will bring the classroom, workplace, and community together for the benefit of the students. Provide relevant curriculum and appropriate resources to meet the needs of our diverse student population. Continuously improve teaching and technology, while creating partnerships to benefit students. Prospective students and guests are encouraged to browse this web site and feel free to contact us for a guided tour. Thank you for visiting us and we look forward to serving you. For more information on what we have to offer, please contact us at 217-872-4051.